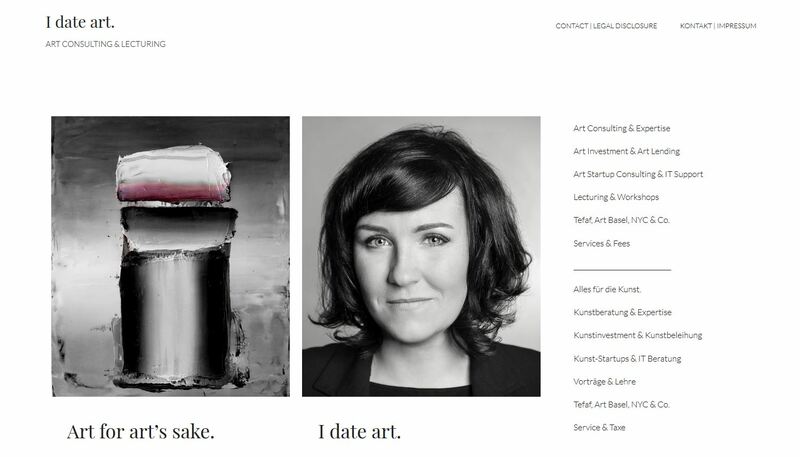 Art Startup Consulting & IT Support - I date art. Good ideas need a strong support and an interdisciplinary approach. Setting up a new company is hard work. I date art. can tell from its own experience. Therefor we believe in sharing our know-how. Do you like our concept and website? We would be thrilled to accompany you step by step starting from a first brainstorming to the final launch of your venture. I date art. offers a detailed consulting service for early stage ventures or freelance workers in art related businesses. Before setting up a new business, decisions have to be made: corporate form and concept, budgeting, set-up and development of the future client base, needs analysis, matters of bank/ tax/ marketing/ law issues. To get a first overview I date art. offers workshops or direct consultations for interested people and teams. In addition, we support our clients by sharing our international contacts to get you the biggest benefit. A company‘s website is an essential part of the extensive public awareness. Our IT Service reaches from saving domain addresses towards the conceptual and technical realization of websites, email configuration and GoogleBusiness registration. Therefor we follow your ideas or support you by ours. All photos presented on idateart.com as well as the website itself, texts and the associated Facebook and Instagram profiles are tailor-made and handcrafted by I date art. We are available via Skype, phone, email or social media: Feel free to contact us at any time.